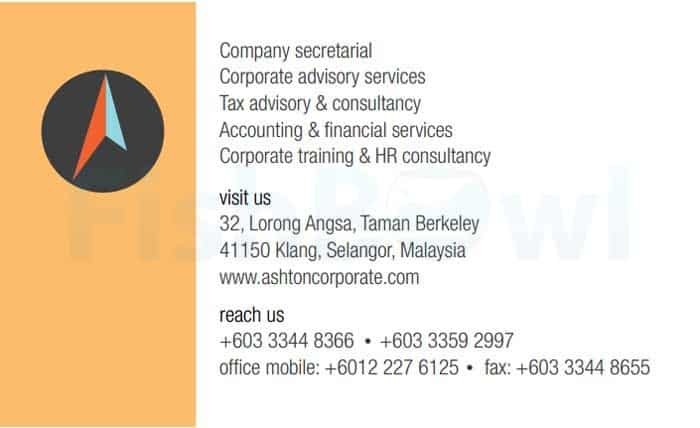 Ashton Corporate Services Sdn. Bhd. is a provider of corporate secretarial services, company registration, accounting, audit, taxation, corporate training and an NLP certification institute in Malaysia, with offices in Klang, Petaling Jaya, and Kuala Lumpur. We offer a comprehensive range of services and we work with audit and law firms to bring a whole variety of services to organisations of all sizes and industries. Our approach is straightforward. 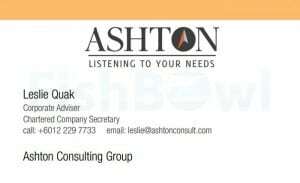 We listen to your needs. We turn your vision into reality. We then mobilise the appropriate talents, processes and technologies to deliver a seamless service that is innovative, practical and cost effective. Listening to your needs. Turning your vision into reality.